A grant from Point Defiance Zoo & Aquarium's Conservation Fund is providing logistical support for rangers patrolling Khao Yai National Park. The highly biodiverse forests of Khao Yai are home to a number of important and threatened species such as white-handed and pileated gibbons, elephants, tigers, clouded leopards, wild dogs (dholes), jackals, gaur, and two bear species. 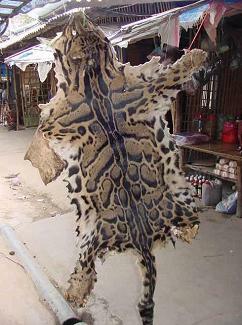 Many of these species are targeted by commercial poachers who kill the animals for their skins, bones, and meat. There is also significant impact from the illegal collection of aloe wood, a fragrant wood providing valuable oil collected for Middle Eastern markets. During their time in the forest, wood collectors live off the land, hunting for meat and displacing wildlife. This trade is so lucrative that these wood poachers often travel from Cambodia and employ armed guards to accompany them. Wildlife Alliance supports park law enforcement efforts through a comprehensive program to train, equip and monitor teams of park rangers who study, patrol, and protect the forests and wildlife. Generally rangers conduct anti-poaching patrols in teams for up to five days at a time. This is an arduous task as the climate is either very hot or very wet, with many ticks in the dry season and leeches and malaria in the rainy season. The rangers also face danger from well-armed poachers. Recently, one ranger was shot in the leg by a gun snare. Since 2002, ranger patrols have caught over 500 poachers and there is evidence that these patrols provide deterrence to poaching activities. However, due to low levels of support, rangers are currently unable to spend ample amounts of time on patrol conducting their law enforcement duties as they often don't have enough money to buy food for patrols and lack sufficient equipment. This grant provides support for rangers, creating an improvement in anti-poaching patrolling efforts by increasing ranger morale, reducing the possibility of corruption, and ensuring that rangers are in the field patrolling every day.